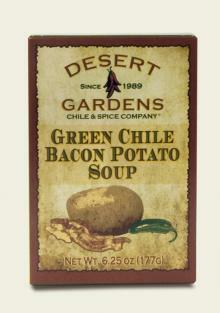 Fresh green chiles from the Southwest, perfect potatoes and our seasoning blend, all together in this thick, creamy soup — warm and wonderful! This product contains milk, soy, and wheat. This product does not contain peanuts, tree nuts, eggs, fish, or crustacean shellfish. 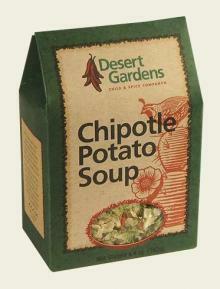 Manufactured in a facility that processes egg, milk, soy, tree nuts and wheat. 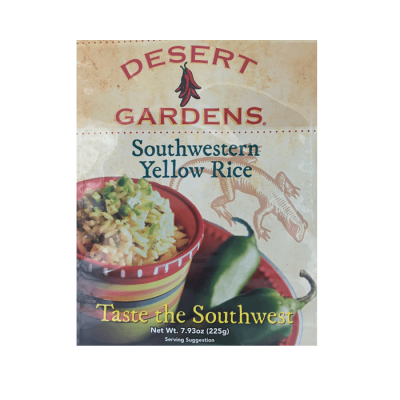 Potatoes, Corn Syrup Solids, Onions, Green Chile Powder and Flakes, Partially Hydrogenated Soybean Oil, Sodium Cassionate (Milk Derivative), Dipotassium Phosphate, Mono and Diglycerides, Sodium Silco Aluminate, Artificial Flavor and Color, Soy Protein, Turmeric, and Natural Flavorings. Add clams, smoked sausage, or bacon bits. Top off with grated cheddar cheese. Serving Size: 1/6 packet (30g) Servings Per Container: about 6 Amount Per Serving Calories 90 Calories From Fat 0 % Daily Value* Total Fat 0g 0% Saturated Fat 0g Trans Fat 0g Cholesterol 0mg 0% Sodium 930mg 39% Total Carbohydrate 22g 7% Dietary Fiber 2g 8% Sugars 3g Protein 3g Vitamin A 4% Vitamin C 80% Iron 4% *Percent Daily Values are based on a 2, 000 calorie diet. 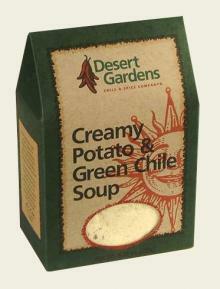 Just made this soup from the mix we bought in Las Cruces, NM. Made it with organic chicken broth and it was so good. Served with cornbread. I’ll be ordering more online..